New target is an 8% operating profit margin. 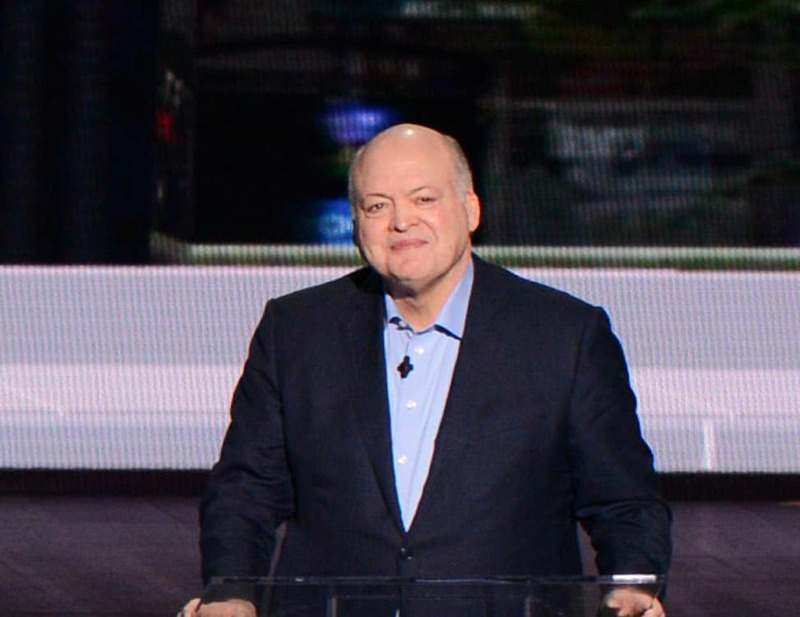 Ford CEO Jim Hackett has set a new benchmark for the company's profits: an 8% operating profit margin. Ford CEO Jim Hackett told the company’s employees that it was time to move on from 2018, but that those “mediocre” results will not be acceptable for 2019 and its longer-term goal — doubling last year’s annual profits. It is “time to bury the year (2018) in a deep grave, grieve over what might have been and become super focused on meeting, and, in fact, exceeding this year’s plan,” Hackett wrote. Hackett relayed his expectations to employees: an operating profit margin of 8%, which equates to an operating profit of nearly $14 billion. In 2018, the company’s operating profit was $7 billion, resulting in a margin of 4.4%. He did not suggest the $14 billion target would be hit this year. 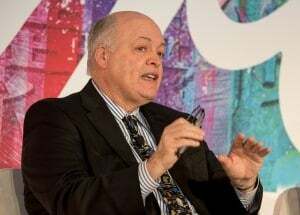 A Ford spokesman told Reuters that Hackett was simply doing the math to show employees how the margin target translated to overall profit. Hackett says the company is continuing to engage in its transformation efforts. The automaker is in the midst of a company-wide restructuring that will see it make significant cuts to its employee ranks as well as shedding all of its passenger cars – except the Mustang – in favor of better-selling sport-utilities, crossovers and trucks. Ford is also looking at other ways to cut costs, including through its new tie-up with Volkswagen AG. The two automakers just announced a deal to work together on commercial vehicles and midsize pickups. The two sides expect to find other areas where they complement one another in an attempt to wring out further savings. He said in the email Ford had been considering accelerating its development efforts to electrify its product portfolio. He also wants see if the company could learn from the trends it missed in China, the world’s largest auto market, where it is losing money. Again, the partnership with Volkswagen may be helpful in those areas as it is considered a leading company in both arenas. VW announced plans to have 50 battery-electrics ready by 2030 and it is one of the top selling automakers in China. Ford CEO Hackett is looking for ways to improve the company's operating profit margin to 8%. Perhaps just as importantly, Hackett’s move to rally the troops has a practical side. During the company’s recent earnings announcement, ratings agencies Moody’s and Standard & Poor’s expressed concerned about the company’s performance. Following the release of company’s 2018 Financial Report that the company was capable of financing its day-to-day operations, product plans and other initiatives and dividend out of its cash flow. The concern about cash flow has prompted rating agencies such as Moody’s and Standard and Poor’s to take a close look at Ford operations and potentially could cost Ford its “investment grade” rating. Loss of investment grade would make Ford’s borrowing more expensive and force pension funds and other major investors to sell their holdings in Ford stock. Making a commitment to a lofty target may be one more attempt to assuage concerns by the analyst and investor communities. This entry was posted on Friday, January 25th, 2019 at and is filed under Asia Pacific, Automakers, Automobiles, Business, China, Earnings, Europe, Executives, Financials, Ford, Investors, Markets, NAFTA, Personalities, Sales, South America, Technology, U.S./North America. You can follow any responses to this entry through the RSS 2.0 feed. Both comments and pings are currently closed.